If you own a small business you’ve probably heard of Intuit’s Quickbooks Payroll. Quickbooks is the go-to service for many small business owners, but you may be the type of person that appreciates having options. If you art the type of person to search high and low for the best place to buy stocks online or to find the best marketing strategies for small business, this article gives you more options than you could want. This article will highlight five alternatives to Intuit’s Quickbooks so that you have a better knowledge of the options available to you. Zoho Books is the perfect Quickbooks alternative for small business. Zoho is the company behind one of the most popular CRM, service desk and email software. Their new Books addition seeks to help business owners simplify accounting processes. The software has a user-friendly dashboard that provides everything you need to manage business finances. It comes with reporting features that help give you a bigger picture of cash flow, receivables and payables for your company. For those small business owners who want to be able to dive deep into their financial statistics, Zoho Books may be the software to go with. Paychex is a lesser-known alternative to Quickbooks, and it is also pricier, so it will affect your profit margin ratio. That doesn’t mean you should immediately cross it off your list for consideration. PaychexFlex offers more thorough customization options than the alternatives, which may come in handy if your business and your employees have specialized needs. Wave is one of the only free Quickbooks alternatives for businesses on a budget. Wave has over 80% of the features offered by Quickbooks Online, all at no cost. Although you cannot print checks with this payroll solution, you can use it for an unlimited amount of employees. You can also use Wave to invoice customers, import bank transactions and credit card transactions and even prepare key financial statements for business. If you need a free Quickbooks alternative, consider downloading the Wave app. OnPay is another great option, especially if you have no desire to file taxes yourself. OnPay takes care of filing taxes for you at no additional cost while many other sites do not offer this benefit. This is one payroll software that you definitely do not need an accounting degree to navigate. OnPay also has no monthly payroll limit, so you can decide how frequently works best for your small business. This would be of particular interest to you if some of your employees work on a per diem basis and you’d like to be able to pay them right away. 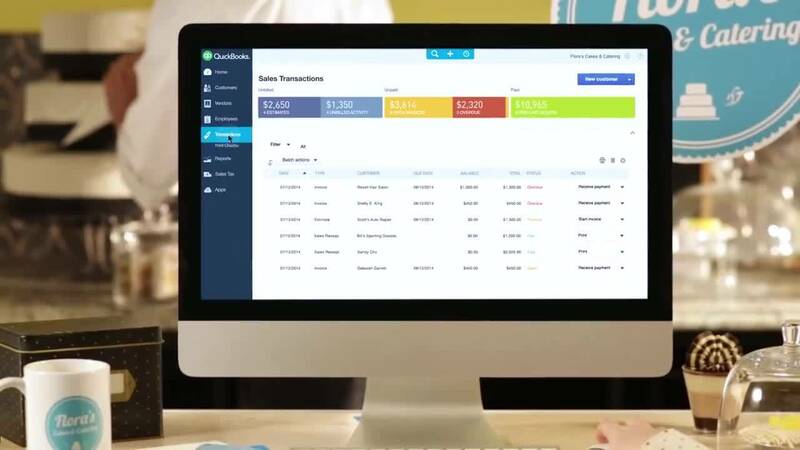 Yet another popular alternative to Quickbooks is Xero. This online accounting software has the benefit of seamless data transfer from your Quickbooks account over to their program. This is perfect if you already have an account with Quickbooks but have been looking to change to another service. Another added feature is the ability to add unlimited users with no added fees or charges. If you plan for your business to grow considerably in the near future due to an SDB certification or otherwise, this may be an important advantage to consider. Very similar in name, Freshbooks is yet another option to consider. Freshbooks offers a 30 day free trial, which allows you to see without a doubt if this program is right for your business. Expense capture is a neat feature unique to this software that allows you to take pictures of receipts for your expenses right on your phone. The software then pulls the information from the picture and store it in your account. You no longer have to have hundreds of little office papers clogging up your office and home. ADP is probably the most recognized name out there for payroll solutions. If you value name brands, like Abbey Carpet, this may be a bonus for you. ADP offers payroll services for small businesses like your’s employing up to 50 people. That means if you employee more than that you may have to size up to the traditional ADP payroll services. ADP is also currently offering a sign up bonus of 2 months free services when you sign up now. They offer three levels of service: essential, enhanced, and complete. If you value the ability to choose the amount of support you’d like to receive and pay for, this could be a great option for you. Here are five great alternatives to Intuit’s Quickbooks software for payroll employee tracking. All of these programs offer online payroll services just like Quickbooks, but each option has its own benefits. If you value name recognition, ADP for small business may be the right choice for you. If you anticipate your staff to increase in size in the near future, Xero may be the right choice as it offers the ability to add unlimited users at no extra cost. OnPay could be great if you are looking to have your online payroll service take care of your taxes, as this program provides that service free of charge. Freshbooks is another great alternative, especially if you hate the clutter that comes with saving receipts for business expenses, thanks to their expense capture feature. All of these alterntives to Quickbooks payroll are great options, so make sure to research further to decide which one is right for the needs of your small business.